Is Scalp Reduction Surgery Needed With a Follicular Unit Transplant? Scalp reduction is a procedure in which bald scalp is removed, in order to bring the edges of scalp containing hair-bearing closer together. With the current sophistication of Follicular Unit Transplants, is scalp reduction necessary? Scalp reduction was introduced in the 1980’s when hair transplants looked like doll’s hair (plugs). Scalp reduction was popular with people who had male pattern balding at the front and top of the head. The thinking was similar to how you might repair a bad stain on a flexible piece of fabric: cut out the stain and sew it back together. 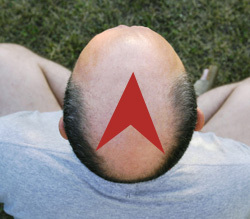 In the same way, after scalp reduction, the bald patch was smaller or non-existent, with a scar along the top of the head. However, there are several problems with scalp reduction surgery. Stretching can stress the remaining skin on the scalp. The procedure is normally done in increments to minimize skin damage, but there are no guarantees. Additionally, the skin tends to stretch back to its original location, causing hair thinning and possibly scar enlargement. General anesthetic is often required with all its known risks, although some surgeons will perform scalp reductions under local anesthetic. Some surgeons will combine scalp reduction surgery with follicular unit transplants, which is the state-of-the-art in hair transplantation surgery. Follicular unit transplants involve removing a strip of hair-bearing scalp, closing the area, and carefully transplanting small bundles of 1 – 5 hair follicles from the strip into tiny incisions in the balding areas. Present techniques and technology place follicular unit transplants at the forefront surgical methods for addressing hair loss. Scarring from a follicular unit transplant is minimized by a good hair transplant surgeon who uses a trichophytic closure. This scar is at the back of the head, and hair will grow through the scar with this special closure. Additionally, the strip of scalp for a follicular unit transplant is much smaller than in scalp reduction, so stretching will be minimal. The procedure is less invasive than a scalp reduction surgery and can therefore be performed safely under local anesthetic. When looking for a hair transplant surgeon, find out his or her full range of offerings. If the surgeon focuses on scalp reduction with occasional follicular unit transplants, he may not have sufficient experience with follicular unit transplants. Additionally, ask to meet some of his patients. He should have lots of patients you can meet in his office. Look carefully at anyone who had had scalp reduction, looking especially for signs of scarring, stretching and any hing of an unnatural appearance. 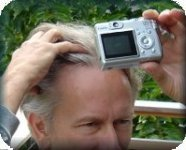 This entry was posted in Baldness, Hair Health, Hair Loss, Hair Problems, Hair Transplant, Hair Transplants on January 24, 2010 by Larry Shapiro.